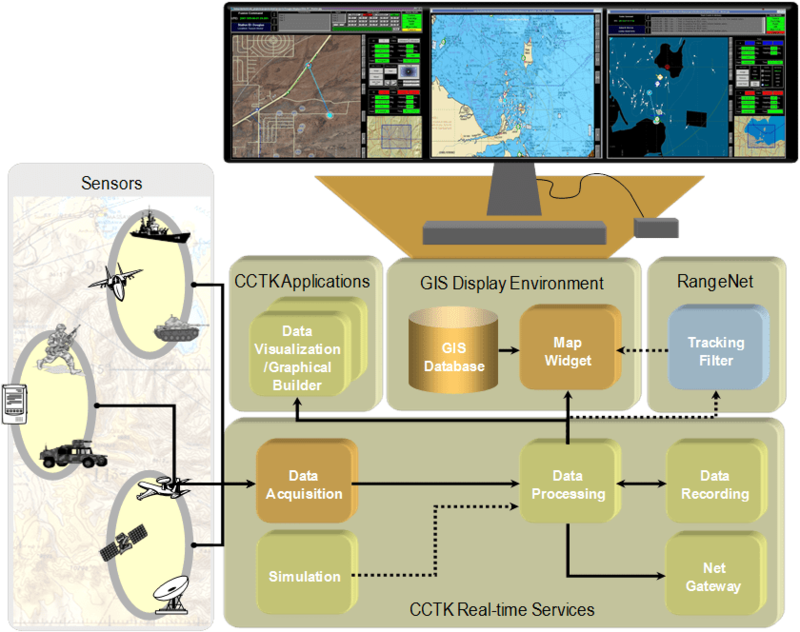 Accurate and timely spatial information is critical for command and control decision– focused situation awareness for defense, law enforcement, emergency response, and business intelligence. 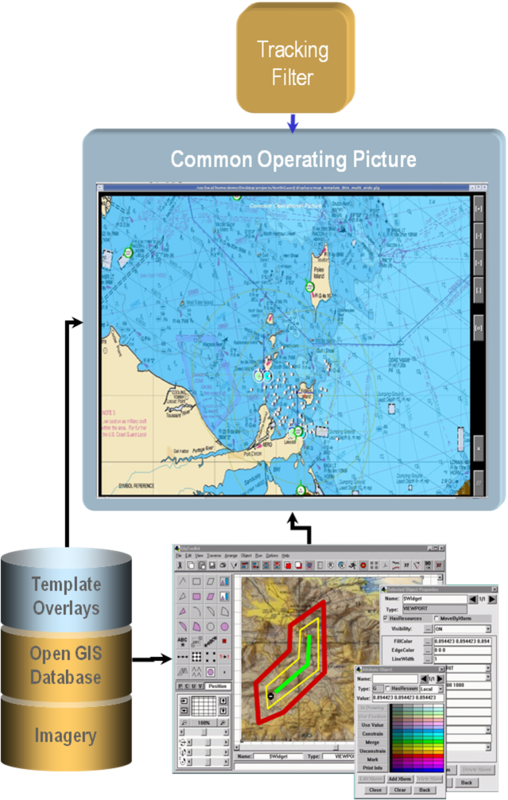 The GDE option meets this need by providing the ability to project complex real-time unit/ target position, health & status, sensor coverage models, and blue/ red force relationships with application specific or user -defined overlays, onto a configurable data-rich GIS map canvas. The GDE is implemented as an extension to the modular CCTK™ client architecture, which means it can operate on a standalone graphical workstation or network distributed client/ server environment. The GDE can be deployed as a standalone map display or as a widget that is integrated with other graphical decision supports tools (graphs, dials, gauges, digital text, etc.) via CCTK’s interactive point-and-click graphical builder, all without programming. Map displays can also be optionally deployed as java applets, which can be accessed locally, or remotely across the internet in a web browser. The power of the GDE is its adaptability to broad range of applications, combined with the open real-time CCTK™ architecture. It is a robust foundation for multi-source data fusion and command and control situation awareness. To optimize for whole globe and small region maps, the server supports hierarchical tiling, and fallbacklayers.